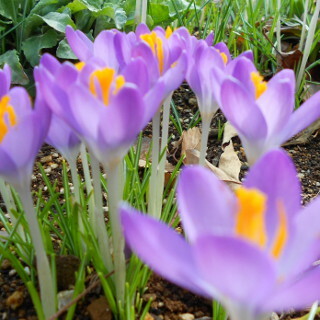 Crocus blooms flower near ground. The leaves are needle-shaped. The colors are white, purple, yellow and etc. It blooms in early Spring.